2019 marks the 20-year anniversary of the Cape Hatteras Lighthouse Move. During the climbing season, ticket sales at each location begin daily at 9:00 am with the last tickets sold at 4:30 pm. For more information on regular climbing ticket prices, rules, and safety information, go tohttps://www.nps.gov/caha/planyourvisit/lighthouseclimbs.htm. 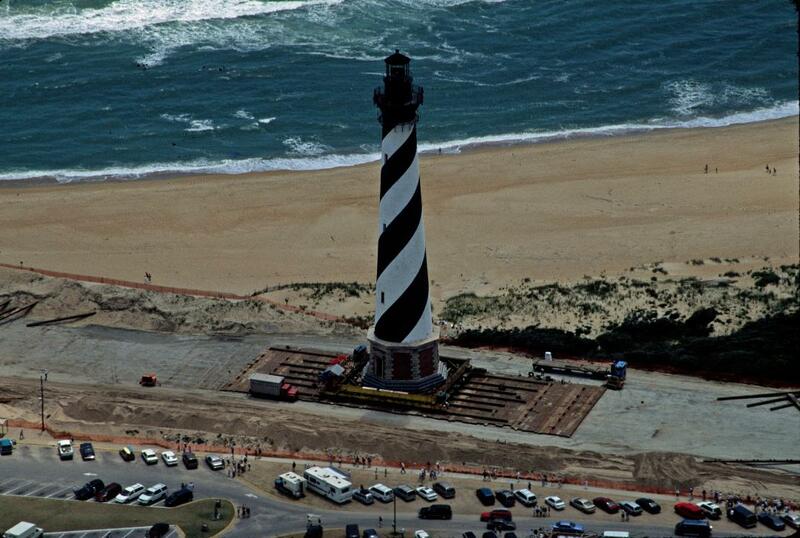 To celebrate the 20th anniversary of the “move of the century,” Cape Hatteras National Seashore will present daily interpretive programs on the epic journey the lighthouse made in the summer of 1999. Meet Seashore staff at the Hatteras Island Visitor Center Pavilion at 10:30 am to hear the 20-minute program. The daily programs begin May 3 and continue through October 14.